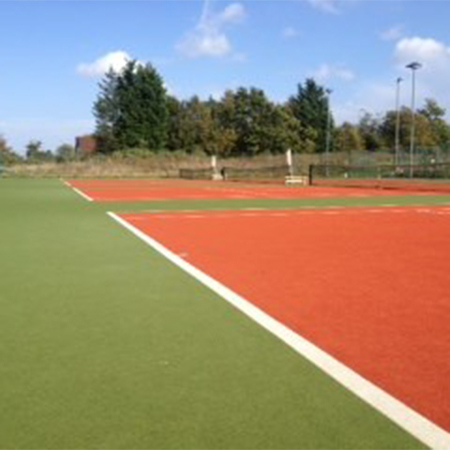 Playrite’s Matchplay 2 surface, was installed originally at the first incarnation of Letchworth Tennis club and was also the first surface to make it down at the current Letchworth Site. After almost a decade of maintenance free use, the management at the club decided to once again choose a Playrite surface and the Matchplay 2 surface still holds true for the clubs use. 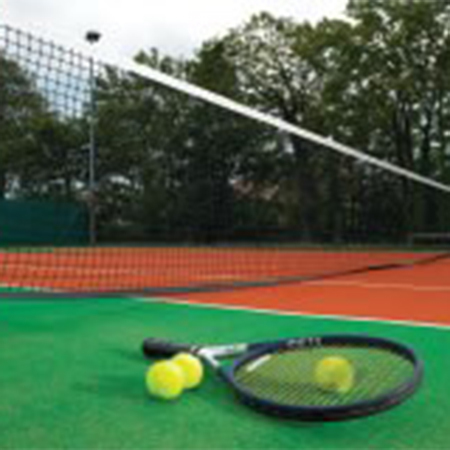 Matchplay 2 is an excellent high performance and durable tennis surface. The built in cushion layer makes for medium-paced play and is easy on player’s leg joints. High level porosity, low maintenance and all weather usage are an added value, which in return maximises playing time and increases potential revenue. Letchworth now boasts four tennis courts in Matchplay 2 sporting green with a terracotta surround. These courts are both striking and offer maximum play-ability, which to a club with over 1000 members is key to retaining and attracting members.